In 2002, Dover-Kohl and Annand-Alcock were hired by Stockland Trust Group to propose a new town-ship design for New South Wales, to be located 30 km from Sydney CBD in the major North West Sec-tor growth corridor. 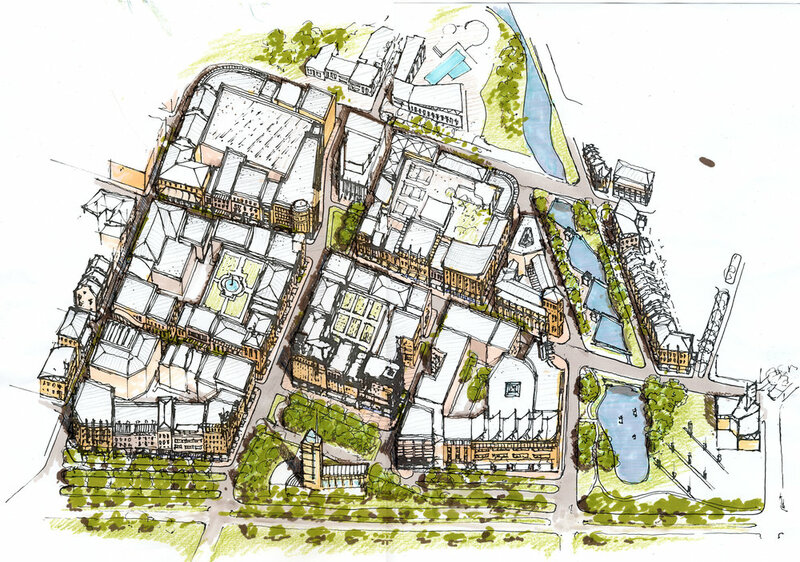 This proposal was prompted by a competition by the NSW Government’s Depart-ment of Planning, which aimed to facilitate the development of a multi-functional sub-regional centre as a model for sustainable urban development. Victor Dover and Peter Annand led a five-day design charrette to identify a series of guiding principles that would shape the proposed Master Plan.